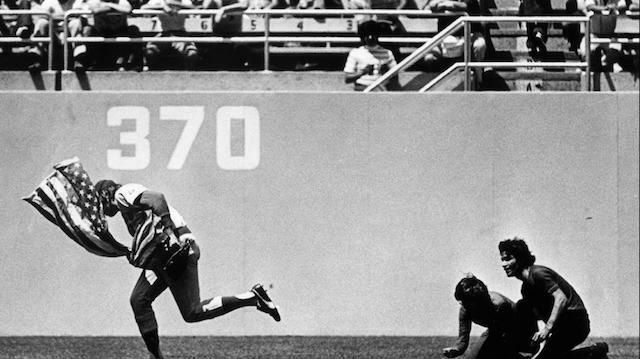 The Los Angeles Dodgers and Boston Red Sox made history in Game 3 of the World Series at Dodger Stadium, playing 7 hours and 20 minutes across 18 innings, marking longest game in the history of the Fall Classic (both in terms of length and time). 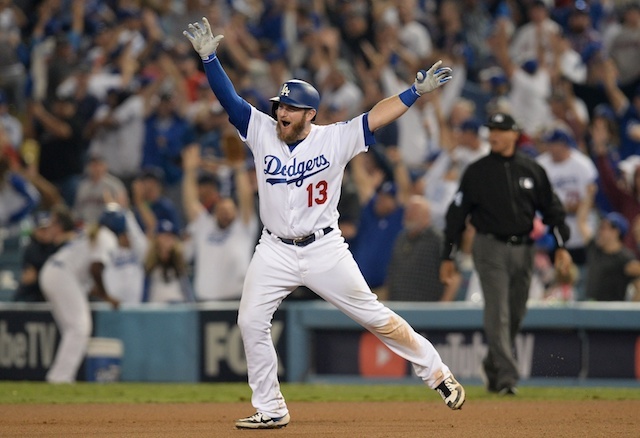 Ultimately, it was the Dodgers that were able to prevail on a walk-off home run by Max Muncy in the bottom of the 18th off Nathan Eovaldi to complete the 3-2 victory. Muncy nearly ended the game three innings earlier, hitting a ball that was home run distance in the bottom of the 15th off Eovaldi, but it landed just a few feet foul. Hours before Muncy ended the game, rookie starter Walker Buehler put up the performance of his life. He tossed seven shutout innings while allowing just two hits. 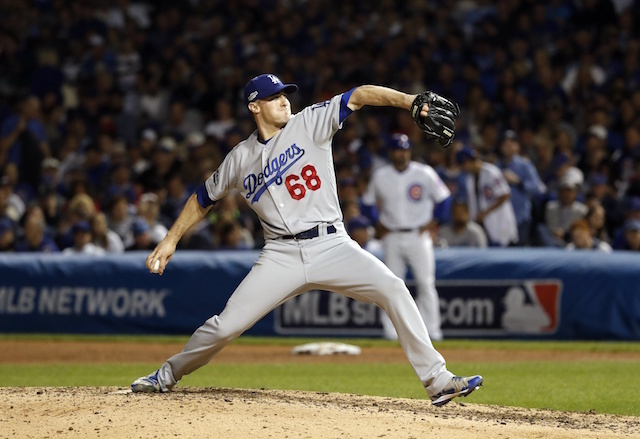 Buehler struck out seven without issuing a walk. 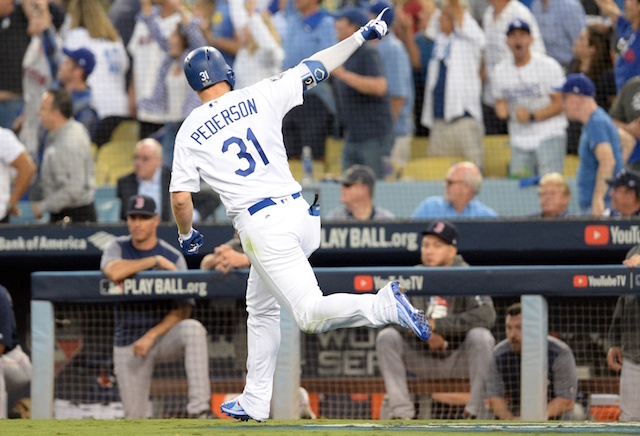 The only run of support the Dodgers gave him was on a third-inning homer by Joc Pederson. So when Jackie Bradley Jr. hit a solo home run off Kenley Jansen in the top of the eighth, the game was tied. The highlight of the night for the Dodgers defensively came in the top of the 10th inning. The Red Sox had runners at the corners with one out, and Eduardo Nuñez hit a fly ball to center off Pedro Baez. Cody Bellinger made the catch and fired a perfect strike to Austin Barnes at home to gun down Ian Kinsler, ending the inning and keeping the game tied. Both the Red Sox and Dodgers scored runs in the 13th inning thanks to defensive mishaps. With Muncy at second base and two outs, Yasiel Puig hit a ground ball up the middle that made Ian Kinsler slip. He then threw the ball away to allow Muncy to score and keep the game going. Los Angeles’ bullpen was outstanding to keep a tough Red Sox offense at bay and give the Dodgers’ offense a chance, and it was ultimately Alex Wood that came away with the win after tossing a scoreless 18th inning. The top four hitters in the Red Sox lineup combined to go 0-for-28 with just two walks.